Haq's Musings: Will Taliban Chief's Assassination Contribute to Rise of ISIS in South Asia? Will Taliban Chief's Assassination Contribute to Rise of ISIS in South Asia? Why did the United States kill Taliban Chief Mullah Akhtar Mansoor in a drone strike in Pakistan's Balochistan province? Is the US trying to promote dissensions among the Talibs? What was Mansoor doing in Iran just prior to his killing after crossing the Iran-Pakistan border into Balochistan? Did Pakistan's intelligence service ISI help orchestrate Mullah Mansoor's assassination by the United States Joint Special Operations Command (JSOC)? Will weakened Afghan Taliban make room for the rise of ISIS in South Asia? What are the driving motivations of United States, Iran and Pakistan in their dealings with the Taliban? These are some of the questions that come to mind when attempting to analyze the current situation in Afghanistan. Let me try and make some sense out of it. Multiple reports indicate that Iran has been working closely with the Afghan Taliban for sometime. Tehran may be hedging its bets to deal with the aftermath of US withdrawal from Afghanistan. The vacuum left by the US will most likely be filled by the Taliban who already control large swathes of territory outside of Kabul. The other emerging force most likely to challenge the Taliban is Daesh, or ISIS, also known as the Islamic State. Iran would much rather deal with the Taliban than ISIS. They see the Taliban as lesser evil. The US and Pakistan (along with Afghanistan and China) have been unsuccessfully pushing the Afghan Taliban to talk peace with the government of President Ashraf Ghani and Abdullah Abdullah in Kabul. At the same time, Americans and the Afghan governments are talking secretly with various factions among the Taliban to promote dissensions in their ranks. The latest killing is a signal to the Taliban that America is willing to use lethal force to remove those stand in the way of the quadrilateral reconciliation process. The Taliban hardliners, like Mullah Akhtar Mansoor's deputies Mullah Yaqoob and Commander Sirajuddin Haqqani, believe that government of Ashraf Ghani and Abdullah Abdullah has little public support and no legitimacy, particularly among the Pashtuns. They expect it will fall quickly after the departure of the US forces from the country. Taliban also fear that engaging with the United States would signal their weakness and it will strengthen the growing ISIS appeal to hardline rank and file among the Talibs. They see no reason to engage in peace talks with Kabul. The deceased Taliban Chief's strategy of getting close to Iran to reduce Pakistan's leverage over him did not sit well with Pakistani intelligence. It may be driven by the fear of the possible India-Iran-Taliban axis hurting Pakistan's interests in the region, particularly the massive China-Pakistan Economic Corridor. This may be why the ISI could have chosen to help the Americans remove Mullah Akhtar Mansour. The Afghan situation is getting more and more complicated every day with multiple players pushing their own conflicting agendas. But they all must understand this: If the Taliban are weakened, the biggest beneficiary of it will be Daesh or ISIS which is rapidly gathering momentum. Such an outcome would be far worse for everyone, including America and Pakistan, than the return of the Taliban after American withdrawal from the region. It's very very important for the United States and Pakistan to work together to prevent the rise of ISIS in South Asia. Riaz Bhai, ISI is patron saint of Taliban. So this killing of Taliban Chief is a great blow to them. That is the reason Pakistani politicians are criticising America. They are becoming mouth piece of ISI. They may be happy inside, but are forced to criticise USA. This is a surprise attack. Pakistan was not aware and ISI was caught clueless. My feeling is the general incompetency that can be seen across all levels of Pakistani landscape has crept to ISI too. Previously they were one Pakistani agency that was free of incompetency. Osama episode and this one now surely indicates the inefficiency creeping. The attack was a sign of American exasperation with Pakistan’s duplicitous game of working with Washington to combat terrorism while sheltering the Taliban and its even more hard-line partners in the Haqqani network. The Pakistanis have relied on the Taliban and the Haqqanis to protect their interests in Afghanistan and prevent India from increasing its influence there. 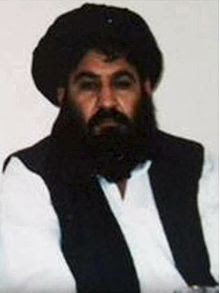 After Mullah Mansour replaced Mullah Muhammad Omar, the Taliban leader who died in 2013, the Americans and Afghans expected that Pakistan’s security services would persuade him to help negotiate a political agreement with Afghanistan, which remains the only viable solution to the war. Mullah Mansour instead rejected peace talks and stepped up attacks on Afghan and American targets, enlarging the Taliban’s territorial control and further destabilizing Kabul’s dysfunctional government. The fact that Mr. Obama has now ordered an attack in Baluchistan, rather than the border region where Pakistan has tolerated previous American operations, raises a big question: Does he intend to expand the American mission in Afghanistan, now focused on training and advising Afghan forces and ensuring that Al Qaeda cannot rebuild? There are 10,000 American troops in Afghanistan, a number that is scheduled to drop to 5,500 by the end of the year. Military commanders appear likely to recommend against such a reduction. In Vietnam on Monday, Mr. Obama insisted that “we are not re-entering the day-to-day combat operations” that he declared an end to in 2014. But he is under pressure in Congress and elsewhere to significantly step up the fight. That would be a questionable choice for which he has not yet made a case. The killing is certain to worsen relations between Pakistan and America, which are already frayed. Other effects are less predictable. The Taliban moved quickly on Wednesday to name Mawlawi Haibatullah Akhundzada, a deputy to Mr. Mansour with strong religious credentials, as the new leader. One hopeful possibility is that he and other Taliban leaders will now feel more threatened, thus more amenable to peacemaking. Conversely, the Taliban, which now suffers from internal divisions, could continue in their aggressive ways. A third possibility is that it could lose fighters to the Islamic State. In any case, studies suggest that killing terrorist leaders usually does not mean an end to the violence. The question to Mr. Obama is whether this killing is merely an end in itself or part of a strategy to drive Pakistan, America’s supposed ally, and Taliban leaders to the peace table. #US Senate Ok's $800 Million Compensation Fund For #Pakistan with conditions for 2017. The new bill marks a shift to a focus on Pakistan’s national security, which has become a major interest for America’s own national security. The committee said continuing to use the CSF would hinder any U.S. support of Pakistan’s anti-terrorism efforts. “Educated, motivated and unemployed youth are an IS recruitment base in Pakistan. We have busted several recruitment cells here,” a senior security official told AFP on condition of anonymity. “Their focus is on the middle-class youth, many affluent and able to run operations of the IS state,” said Muhammad Amir Rana, a security analyst. That means not only foot soldiers, but people who can “run cyber operations, hospitals, and administrative operations”, he said, estimating that some 700 young Pakistanis have already left to join IS. Islamic organisations and security sources say at least two dozen people suspected of IS connections have been detained in the port megacity of Karachi. Authorities also found evidence of IS recruitment efforts in Pakistan’s wealthiest province Punjab, and made arrests in 2014. Last year authorities traced a mother-of-four who went missing from the provincial capital Lahore with her children over fears she had left the country to join IS. Her family says she is now in an IS-controlled area of Syria along with another Pakistani family. Authorities have also arrested multiple people accused of IS sympathies with links to the religious political party, Markazi Jamiat Ahle-Hadith Pakistan (MJAP). A senior party member told AFP that his son had become radicalised and is now missing. “Some people say he has gone to Damascus, others say to Afghanistan or Turkey,” Talib-ur-Rehman Zaidi said. In Pakistan’s northwestern tribal belt that borders Afghanistan, analysts say IS are targeting militants already operating there. “My impression … is that IS mainly attracts and tries to recruit disillusioned members of the Taliban movements as well as the likes of Lashkar-e-Taiba,” analyst Al-Tamimi said. However they are not succeeding, says analyst Rana, because of sectarian differences between the militants. The jostling of Pakistan’s array of other extremist groups means IS will not become a threat to Islamabad “any time soon”, said Weinbaum. But the group’s seeming inability to establish itself on Pakistani soil may not deter “lone wolf” attacks, as US investigators believe happened in Orlando. “Individuals just associate themselves with them (IS),” president of MJAP Sajid Mir told AFP, as he denied any links between his party and the militants. Shadi Hamid: Will #Muslims follow western trajectory: Reformation, Enlightenment, Secularism, Liberal Democracy? Green: You open the book by asking about this inscrutable yearning for violence that seems to be felt among a small minority of Muslim extremists. What do you make of this yearning? Hamid: On a basic level, violence offers meaning. And that’s what makes it scary. In the broader sweep of history, mass violence and mass killing is actually the norm. It’s only in recent centuries that states and institutions have tried to persuade people to avoid such practices. That also reminds us that when institutions and social norms are weakened, those base sentiments can rise up again quite easily. And that’s what I saw. Green: You also frame violence as a way of grappling with theodicy, or the problem of evil. How does this play out in the Islamic tradition? Hamid: That is the question many Muslims have been asking not just recently, but for centuries, ever since the fall of the various caliphates and empires: Why is God doing this? Why is God permitting this fall from grace? The Muslim narrative you hear a lot is that when Muslims were good, God rewarded them with success and territory. When Muslims went astray, then perhaps God decided to send them a message to encourage them to return to the straight path. A question I get a lot is, “Wait, ok, is Islam violent? Does the Quran endorse violence?” I find this to be a very weird question. Of course there is violence in the Quran. Muhammad was a state builder, and to build a state you need to capture territory. The only way to capture territory is to wrest it from the control of others, and that requires violence. This isn’t about Islam or the Prophet Muhammad; state building has historically always been a violent process. Green: On that point, you observe that the state-building impulses of the Islamic State actually make it much more terrifying than other groups. Why? Hamid: ISIS has gone well beyond the al-Qaeda model of terrorism and destruction. Of course, ISIS does that, too, but it attempts to build something in the place of what it has destroyed. It has an unusually pronounced interest in governance. And they are not just making things up as they go along. There does seem to be a method to the madness; they are drawing from certain strains of Islamic history and tradition. They are perverting them, I would argue, and distorting them, but it is not as if they are just making it up out of the air. We had to ask around the neighborhood to find this place of worship. It has no dome. There's no minaret. You might compare it to an American storefront church, except there's no storefront. When Shiite mosques issue their five calls to prayer every day, they're amplified through loudspeakers and echo down every street. But the Sunni man who sings the call to prayer for this mosque does it indoors, so few people hear. Babaei says the administration of Iran's former president tried to shut down this worship space. Hassan Rouhani, the current president, is publicly more tolerant — but the State Department says Iranian Sunnis have been imprisoned for their beliefs. And news reports have said at least one Sunni place of worship in Tehran was shut down last year.